Modern technological factors have paved the way that (potential) customers can contact companies via ever more "points of contact". Marketing automation helps to qualify and manage these contacts. During this process, the different systems and data sources are made to work together in order to evaluate and maintain customer relationships. In combination with website analytics it is an efficient instrument for lead generation – both for direct e-commerce as well as for cross-channel sales activities. personalized websites or landing pages, and then use this data for subsequent visits. E-mail campaigns that consider previous usage behavior and then deliver accordingly tailored content. Content aimed at that target group (white papers, blogs etc.) and involved social media channels. Marketing automation systems map the entire customer life cycle for marketing and sales purposes. During the process, information is collected that stems from interactions with interested persons on various channels – e.g. via online marketing campaigns or direct sales contacts. The harvested information is recorded, categorized and synchronized over the systems involved. In this way, for example, systems for CRM, e-mail marketing and marketing automation are always kept up-to-date with the same identical information. Together with you, we analyze the feasible application scenarios and design the appropriate marketing automation measures. With the context of this process, we offer any support you may need so that the right tool is selected for the task. Whether we employ one of the leading systems, such as Hubspot, Marketo and the like, or develop individual solutions can only be determined according to your needs and specifications. 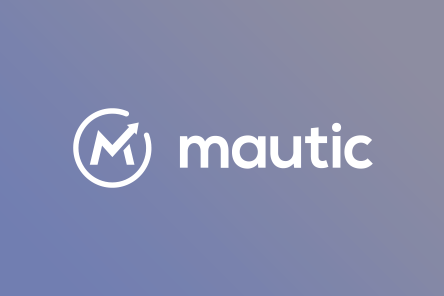 In several respects, the marketing automation tool Mautic offers an interesting alternative to the market leading products requiring license payment. It is easy to install, the user maintains full control over his data and – since it is open-source software – it can be perfectly integrated in the solution and tailored to individual specifications. As an experienced technology partner, we support our clients with customized strategies, solutions and services so that they can confront their challenges during the digital transformation. We develop future-oriented applications for all digital channels and offer services for marketing, hosting and operations.